Overkill’s The Walking Dead was delisted from Steam on February 27th, 2019. 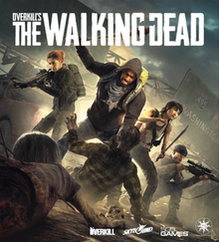 The game was removed after Skybound Entertainment, the company co-founded by The Walking Dead’s Robert Kirkman, announced that they were revoking licensing and support from publisher Starbreeze Studios. Starbreeze offered their own statement on the immediate future of the title and issued hopes that the game may return to sale at some point with the promised second season of content. As of this writing, it is assumed that the unreleased PlayStation 4 and Xbox One versions of the game (to have been published by 505 Games) have now canceled. OVERKILL’s The Walking Dead is a multiplayer game where you and your friends take on both walkers as well as other survivors. Teamwork is highly important, so make sure your party is on the same page when it comes to what character to play and what weapons to wield. Weapons are important, and they wear and tear just as the world around you. Throughout the city you can find addons and attachments, such as scopes and silencers, increasing your weapons efficiency. You will also be able to craft other tools and devices to increase your chances. The camp is where you plan your next steps. You need to keep it and the people inside safe. You do this by finding supplies and upgrades and fending of hordes to increase your chances. For each successful mission, you will gain experience and earn weapons at the same time as more and more pieces of each character’s background unfolds. For each mission you’ll also learn more about the fallen city and how the apocalypse changed it. OVERKILL’s The Walking Dead is all about tension and fear. Actions have consequences and every sound you make risk pulling the horde closer. So sometimes a knife is better than a gun.